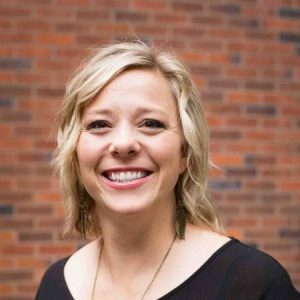 This guest post by Katie Babits is part of the Jam of the Month: Workforce Development – Recruiting & Retaining Talent, hosted by SGRecruiter. When I begin to discuss implicit bias the most common statement that is, “But I’m not racist!” Calm down, nobody said you were, calm down. It’s hard for people to talk about diversity, equity, and inclusion, especially people who are passionate about serving the public. I see that as more reason to talk about it. We want to wholly serve our communities, and it’s terrifying to think that we may not be serving everyone in an equitable manner. If that sounds like you, that’s great news. What I hear is that you want to wholly serve your community. The best way to find out if you are is to find out if you’re not. Uh, what now? Conscious prejudicial beliefs, attitudes and stereotypes held toward particular groups of people based on actual or perceived shared characteristics or identity. Unconscious prejudicial beliefs, attitudes and stereotypes held toward particular groups of people based on actual or perceived shared characteristics or identity. See the difference? Implicit bias is simply that there is a belief we have, of which we remain unaware. Researchers from Harvard have been researching implicit bias for a couple decades. Mahzarin Banaji and Tony Greenwald developed a test called the Implicit Association Test and they continue to gather data through the link. They also wrote a book called Blind Spot: Hidden Biases of Good People. Their research found that they were surprised with their own blind spots, and that by introducing a counter narrative, they reduced their own bias once they discovered where it was prominent. For example, Mahzarin Banaji is a woman of color and an immigrant who conducts research at one of the most prestigious university’s in the world. Yet she found that she had a bias for (or belief that the norm was) white middle-aged men in professional roles. Once she recovered from the shock that she didn’t default to seeing herself as the norm, she created a screensaver of anything but white middle-aged men in professional roles. More importantly, she found pictures of real doctors, teachers, business professionals, etc., doing their own work who were people of color, LGBTQ, non-male genders, etc., to constantly provide her with a counter narrative of what “successful” people look like. You may think local governments or non-profit organizations were the first to dedicate energy toward achieving a diverse workforce. In fact, it was the business sector who introduced the concept, because of studies which have proven that a diverse workforce provides more financial returns than not. Frankly, it’s good for the bottom line. So how does this relate to the public sector? We interact with our communities on a daily basis in a variety of roles. Let’s narrow it down to recruiting. An ideal goal is to have a workforce that reflects the community it serves. You may even strive for a workforce more diverse than the community you serve, since research shows that such a workforce is good for business, innovation and creativity. The tricky part is, if we are all walking around unaware that we hold biases, we are more likely to hire people who look like us, have similar education levels as us, or share similar cultural stories as we do. This can leave us with a workforce full of people who think the same way. And if we are all thinking the same way, how do we bring new perspectives with innovative alternatives to challenge the status quo to constantly improve? I’ll tell you how. You challenge yourself, your staff, and especially your hiring panels to learn. Just by reading an article about implicit bias, you begin to turn your wheels about the concept. Stumble on over to the Harvard site and see what you score on the Implicit Association Test. It’s anonymous. No one but you will ever know what your score was, but you can use that information to inform your own process, and create your own alternative narrative to areas in which you hold bias. And welcome to the club. We grow up in a certain environment. From a very young age, we categorize things we encounter as like us (safe) and not like us (unsafe). This made sense when we were born in caves & needed to be wary of saber tooth tigers. But we have evolved in many ways, our ability to judge something based on its apparent safety or danger has not. That’s where the onus lies on us to do the work ourselves. Local governments are beginning to confront the topic. Many entities are working toward eliminating implicit biases in the community justice system. Others are finding that they need to address the rates at which they respond to correspondence based on who sent the email (see article “Is Your Librarian Racist?”). Police departments are beginning to train sworn personnel in finding their own biases so they may begin to address them. Even the US Department of Justice has taken steps to understand how implicit bias impacts law enforcement. This discussion remains young, and there is work being done for us to even understand what our current baseline is in local government. Check out the ELGL Diversity Dashboard to see current demographics from jurisdictions who have reported in. If you know of municipalities interested in providing their data, send them our way. We are a small community, and together we can learn from each other and continue our own journey toward addressing implicit bias in the public sector. 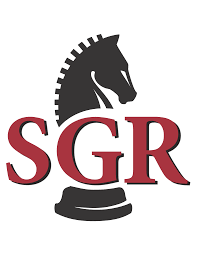 SGR Executive Search (www.GovernmentResource.com) has developed a groundbreaking new platform designed to overcome implicit bias in the recruitment process. Prospective candidates fill out a standard resume questionnaire addressing their background, experience and interests. 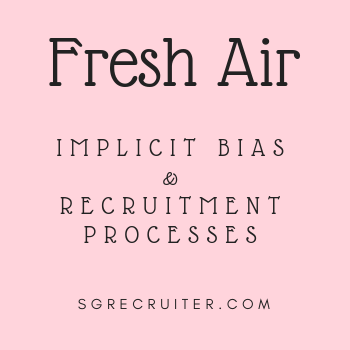 The prospect’s name and employers are masked, eliminating implicit bias in this stage of the hiring process which prompts more Joe’s than Jose’s or Joan’s to get interviews. This also makes it safe for passive candidates to be in the market without the risk of anyone knowing. Employers fill out a standard job posting format so that algorithms will allow matches with prospects on specific jobs. When the employer hits “search” a list of masked prospects pop up that have the experience and background desired. The employer can then communicate directly with each of the prospects via chat inside the platform and prospects only reveal their identity once they feel like discussions are serious enough to warrant exposure. The system is entirely free for prospective candidates to use. Check it out and become a passive candidate for future opportunities at www.SGRecruiter.com. For more information contact [email protected].